Leo Vegas casino are literally giving money away to random lucky players who choose to gamble at their site this February. But how do you become one of those random players? How much of the 40 thousand in cash can you actually win? That’s right, we are here to break down this February 2019 Leo Vegas Cash Drops promotion, because why waste your time when we can waste ours. Usually login to a casino anytime between 7 pm and 9 pm? Are happy to play at Leo Vegas sometime between the 11th and 23rd of February? If you answered yes to both these question, then we would recommend you read on. At the end of the day, Leo Vegas like to keep things simple, fun, and clear. This casino promotion follows that trend by asking you to do very little. 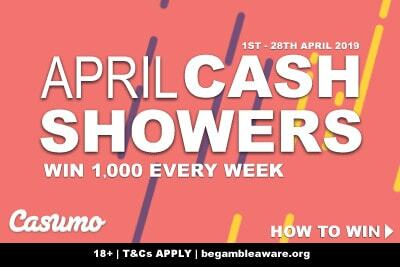 Anyone who has made just one deposit of £€$10 after the 10th of February will have a chance to win either £€$1,000 or £€$10,000 in random cash drops. In total, they are giving away £€$40,000 in cash, because who needs money when you can have the love and adoration from your players? First things first. Have you made that one or that first deposit of at least £€$10? This promotion is for new and existing customers, so you need that as a bare minimum to be in the draw. Now here is the tricky part: to win this cash drop money you need to log into your account between 7 pm and 9 pm between Monday and Saturday. Did we say tricky? We meant easy. It’s the easy part. If you’ve read our Leo Vegas casino review you know it’s one of our favourite sites, for many good reasons. One of them is that they are generous. They have a great welcome bonus, and plenty of offers if you stay loyal. But even if you don’t they like to do these big promotions where anyone can win. In this case, 2 people who log in between 7 and 9 pm on each day of Monday to Friday will each win £€$1,000. However, one person who logs in between 7 and 9 pm on Saturday 16th or 23rd will win an eye-watering £€$10,000. Why log in between 7 and 9 pm? These are not random times picked because someone at Leo Vegas likes sunsets. It’s because it is one of the most popular times to play. And Leo Vegas isn’t stupid and knows that most punters will have 4 or five different favourite betting sites. What they want to do is become one of those favourites. If you happen to log in at around the time you would usually play… well… maybe you might decide to stick around at Leo Vegas if you like what you see. Hey, let’s be honest, these statements will shock absolutely no one who has ever watched commercials anywhere. Except after watching a TV advert, you rarely end up with a thousand in cash in your pocket. There are always T&Cs, even in the simplest of offers, although in these case it’s rather self-explanatory. 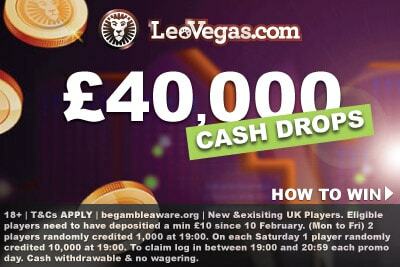 Any cash drops not claimed will be added to the final draw on Saturday the 23rd of February. All winnings are real cash and will have NO wagering requirements. If you take just one thing from this it’s that it only takes one second to check your Leo Vegas account every night for two weeks. You can do it via the Android casino or on iPhone, so put an alarm and check. 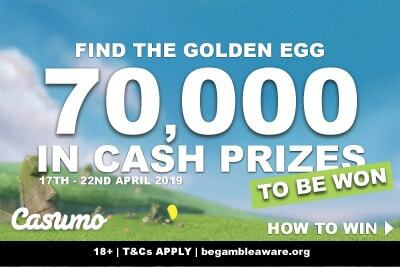 How idiotic would you feel if you saw you missed out on 1,000 or 10,000 in real cash winnings? Is Leo Vegas casino any good? We love it, it’s one of our favourites to play, and it’s why it’s on our very select list of casinos online. That said, it’s worth doing your research. At the end of the day, it’s your money and your time. What we will say is that they are fully licensed by the UK and Maltese Gambling commission, ensuring their games always meet the high standards both these regulators expect. 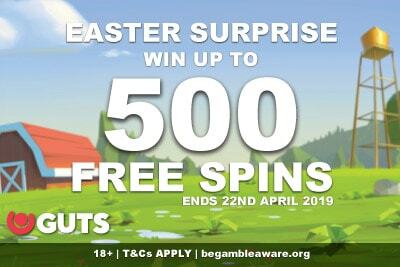 They have one of the biggest selections of casino games online, and even a decent sportsbook site if you like to place a few bets on the footie or the horses. In short, they are safe, have great offers and know how to look after their loyal players. Need we say more? 18+. Promo dates: 11/2/19 - 23/2/19. Eligible players need to have deposited min £10 since 10 February ’18. (Monday to Friday) 2 players randomly credited £1,000 at 19:00. On each Saturday, 1 player randomly credited £10,000 at 19:00. To claim, log in between 19:00 and 20:59 each promo day. Cash withdrawable & no wagering req. Full T&Cs apply. begambleaware.org.